Find yourself bored on this holiday break? 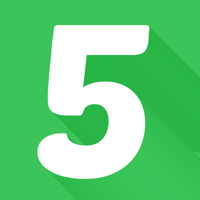 Spare5 is a new entrant in the world of “earn money in your spare time”. You sign up and do short tasks on either their smartphone app or desktop web browser. They pay cash via PayPal weekly or donate to a charity of your choice. What kind of tasks? The problem they are solving is that certain things are very hard for machines to do, but are easy for humans to do. Examples are assessing the tone of a conversation or separating elements of a photos. You’re basically creating an “answer sheet” to help compare against and train machine learning algorithms. (Help train the robots that will take over the world!) Some tasks were mildly amusing, while others were quite tedious. How much money do they pay per task? As far as I can tell, very little. The tasks that I was offered ranged from zero to $0.10 per task. Most were around a penny each. It took me roughly an hour to reach the minimum payout of $1. I know that they want you to prove yourself before offering higher-value tasks, but from my experience it will take a while to even reach $5 an hour on average. Bottom line. Like most “earn money in your spare time” options like paid surveys or mystery shopping, the per-hour wage is low. I doubt the average user makes even close to minimum wage. Honestly, if you are a motivated person I would invest your time into improving your skill set so you can eventually make $25, $50, or $100 a hour. That said, I think this app is going to be successful. Machine learning is growing, and they’ll need to test it against real human intelligence. While I won’t be a regular user, there will be more than enough people who are willing to do the work. Of course, I also fail to see why people spend hours playing games on their phones. If you just want something to cure boredom, I suppose getting paid $1 an hour is better than paying someone else $1 for a virtual axe or something. This is far from a glowing recommendation, but if you do sign up there is a referral bonus that offers new users a 10% bonus on up to $100 in earnings in your first 180 days with a my referral link. That’s an extra $1 for every $10 in earnings. Thanks if you use my link, I will get $2 for every $10 you earn with Spare5 (up to $20). If you are an Amazon Prime member, you can stack two current offers to get free $25 Amazon credit and a free 2-month trial to Audible (1 free audiobook per month). If you don’t have Amazon Prime, you could start a 30-day free trial and/or consider this a $25 off discount on your membership. Offer expires December 31st, 2016. Make sure you are logged into your Amazon Prime account. Visit the Audible Gold membership page and look for the offer that says “Get a $25 Amazon credit to use in the next 90 days when you join Audible. Offer ends 12/31”. This means that your account is eligible. 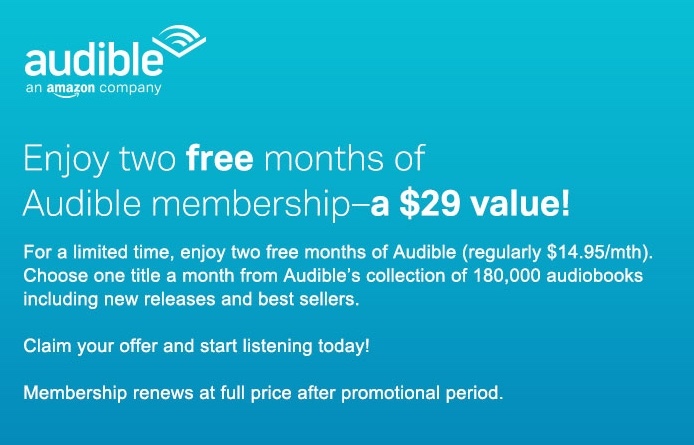 Go to LivingSocial.com and search for “audible” and claim a code for a free 60-day membership at Audible.com. It’ll be unique and look like “UM82ZRGX2SGQ7”. In the same web browser, visit audible.com/at/redeem and enter the that code. You’ve now technically signed up as a member for Audible (for free) and thus triggered the free $25 in Amazon credit. Remember to cancel your Audible free trial within the two months, or you will automatically be charged $14.95 per month after the trial ends. However, redeem the $25 credit first. Either set a calendar reminder or cancel after you redeem the $25 Amazon credit and chosen your first or second Audible book (1 free per month). Your Audible audiobooks will remain in your account even if you cancel membership. Below are screenshots of the two stacking offers (1) $25 to join Audible and (2) free 2-month Audible trials. Use your Amazon credit in combination these other recent Amazon promotions. As we close in on the end of the year, it is a good time to take stock of your investment portfolio. If you haven’t already, you should consider rebalancing your portfolio back towards your target asset allocation. Overall, this means selling your recent winners and buying more of your recent losers. Now, you may think that rebalancing will improve your returns because you are “selling high” and “buying low”. However, the full picture is a bit more nuanced than that. If you think about it, the asset classes with the highest returns should eventually take over the portfolio if you never rebalance. If you started in 1965 with 50% stocks and 50% bonds and did nothing to 50 years, your portfolio in 2015 would have been overwhelmingly stocks. If you kept selling stocks and buying bonds, you would have probably lowered your returns in the long run. So why rebalance? When rebalancing between asset classes with similar returns, the likely effect is to help increase your overall returns while not affecting your risk. An example is rebalancing between US and International stocks. When rebalancing between asset classes with different returns, the likely effect is to help lower your overall risk (improving your risk management in the chart) while decreasing your overall return. An example is rebalancing between stocks and bonds. In the end, Kitces reminds us while your overall returns probably won’t be enhanced, the net effect of rebalancing is better risk management. I think of it similarly as preventing my portfolio from getting “out of control”. This is why people create “rebalancing bands” that let their portfolios wander a bit but not too much. For example, a 20% target allocation can vary from 15% to 25% before being rebalanced back towards the target number. 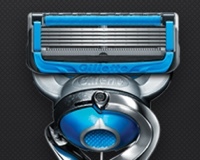 Here’s a throwback to when free razor samples were everywhere – Gillette is running a Welcome Back promotion where if you share your story about how you tried Harry’s, Dollar Share Club, or another razor brand and want to come back to Gillette, they’ll send you a free razor. You just need to tell them a quick blurb of why you didn’t like their competitors and upload any photo of yourself. Took me under a minute. Valid while supplies last. Here are two quick offers for those who haven’t used the Amazon smartphone/tablet app before – available on iOS and Android/Fire OS devices. There’s one for installing the app, and another for making your first purchase through the app. The first offer ends 12/17, so I’d jump on that one immediately. 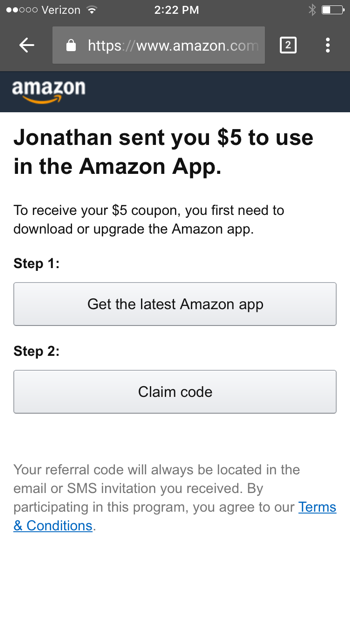 Get free $5 Amazon gift card after you install and sign-in to the Amazon app for the first time. The offer link will tell you if their records show that you’ve already logged into the app before. Get a coupon for $5 off your first $10+ Amazon app purchase if you visit this referral link on a mobile device and apply the embedded claim code. If the link doesn’t work, you can also manually enter the promotional code JONAT1665N directly into the app. Open the app, go to Menu > Your Account > Invite Friends > Have A Referral Code?, and enter the code. You must not have made a purchase on the app within the last 12 months. The referrer (me) will receive a $5 off $10 coupon as well. Thanks if you use it. … selection includes stuff made by Netflix (Stranger Things, The Crown, Narcos, Orange is the New Black, etc) but also a lot of other random choices. You’ve got Breaking Bad. You’ve got Mad Men. You’ve got… Paddington and Minions and Kung Fu Panda 3. This is going to be a huge deal for parents. Movies include Boyhood, Pulp Fiction, Nightcrawler, Good Will Hunting, Hot Fuzz, and more. I agree, I’ve only started downloading tons of offline content after having kids. Here is a link to the Netflix Help Page on Downloading. Not all titles are available for download. If you have a particular title in mind, you can search for that title and look for the download icon download.png. If you are interested in browsing downloadable titles, select Available for Download from the Netflix menu. Amazon Prime Video also allows downloads for offline viewing. 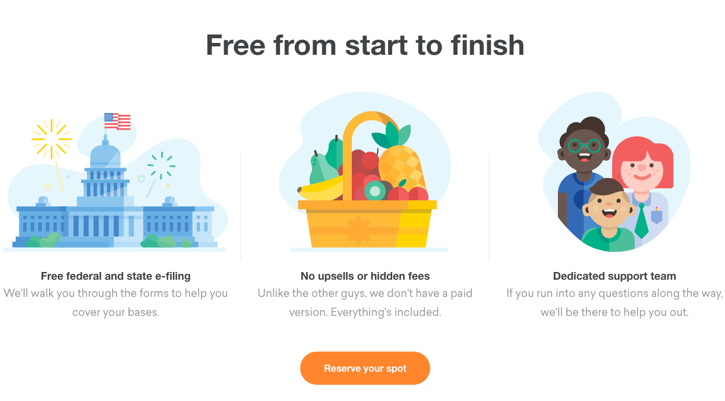 Credit Karma Tax: Free Federal and State Tax Software, What’s The Catch? Credit Karma is expanding beyond free credit scores and free credit monitoring. Beginning in January 2017, they will offer completely free Federal and State tax preparation software with free e-File and no income restrictions. You must first join CreditKarma.com and then you can reserve a spot for when it opens. The tagline is “$0 Federal, $0 State, $0 Always. Truly Free Tax Returns.” Here’s an overview of what is and isn’t included in this offer. Is this legit? Yes. Credit Karma purchased AFJC Corporation, which was a private-label software provider and previously supplied the online tax software for Jackson Hewitt. They use your personal information to show you targeted ads. They used to do this with your credit report data, and now they want to do it with your tax return data. Free Federal filing with free e-File for 90%+ of filers with no income restrictions. Free State filing with free e-File for 90%+ of filers with no income restrictions. No upsells, no upgrades, no “premium version”. You can print and snail mail if you choose not to e-File. Here are some popular forms included by Credit Karma Tax that the download edition of TurboTax Deluxe 2016 will require you to upgrade to Premier (~$20 extra) or Home & Business (~$30 extra). No business tax returns. Credit Karma Tax supports Sole Proprietorships and income reportable on a Schedule C/E/SE, but does NOT yet support business tax returns for an S corporation, C corporation, partnership or multi-member LLC. Credit Karma Tax does NOT support importing tax return information from other providers this year. There is no download version. There is no app version. When you visit Credit Karma, we show you offers and recommendations (like credit cards or loans) that could save you money. If you take one of these offers, the bank or lender usually pays us. We never charge you a dime. And we never sell your info to marketers. My take? They should say they won’t sell your information to other marketers. They are the marketers, and now they’ll know more about your financial situation than anyone else besides you. On top of your credit report data, they’ll have income and expense data. For example, if they know you have a 4% rate mortgage, they could sell you a 3.5% refinance mortgage. If they know you are older and have a paid-off home (i.e. you pay property taxes but no claim no mortgage interest), they could sell you a reverse mortgage. 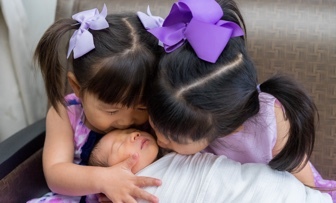 If they know your income, they can estimate the amount of life insurance you need. You could actually like this customization, be creeped out completely, or simply plan to ignore the ads. What could go wrong? The most common drawbacks mentioned are the idea that (1) “you are the product” and (2) what if they get hacked and you lose your personal information? Well, yes you are the product. Google and Facebook work the same way. You use their free service, they show you targeted ads and hope to extract money from you indirectly. If you really are worried about your personal information, you should buy tax prep software on physical CDs so that nothing is stored on anyone’s cloud servers. 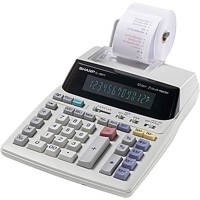 Don’t use any online tax prep software, including that of TurboTax/H&R Block/TaxACT. I would say a less-mentioned drawback is lack of customer service or support. If there is a bug or tax question that I need help on and I have to spend an hour to fix it, then I’d rather have just paid upfront for better service. Other providers advertise human phone support and/or unlimited live chat. Bottom line. It’s a pretty simple deal. Credit Karma will give you free Federal and State tax returns. You let them show you ads based on your financial data. Is this a good deal? For most people that have straightforward taxes and don’t usually need support, then quite possibly yes. If you do Federal + State + e-Files with TurboTax or H&R Block, the total cost can be $100+. If you have a complicated tax return or can get value from the conveniences offered by competitors (import last year’s data, unlimited phone support for weird situations, import of 1099-B tax lot data), then it may be worth paying extra elsewhere. 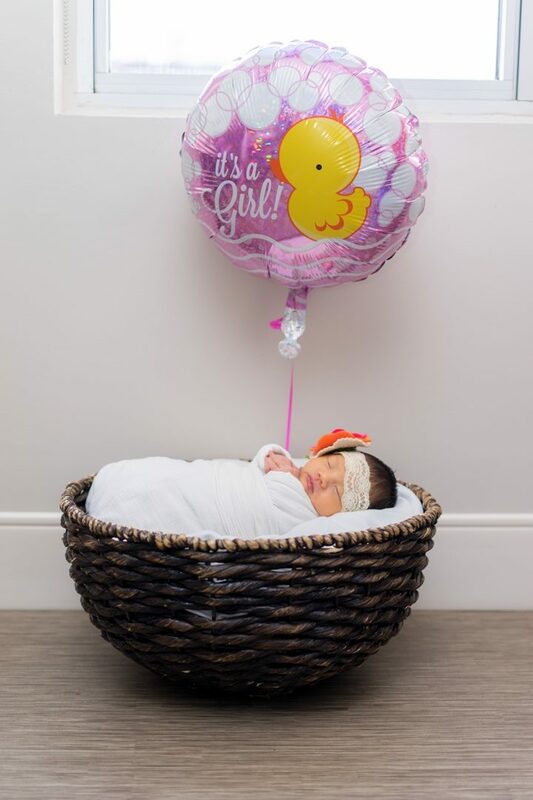 I signed up on the waiting list and hope to compare the accuracy early next year. 5% Back for Amazon Prime members. Amazon Prime members are automatically upgraded to the Amazon Prime Store Card and can earn 5% back on all Amazon.com purchases. There are also financing offers, that come with the card, similar to retailer cards from Home Depot or Lowe’s. No interest if paid in full within 6 months on any purchase totaling $149 or more. Interest will be charged to your account from the purchase date if the promotional balance is not paid in full within 6 months. Minimum monthly payments required. No interest if paid in full within 12 months on any purchase totaling $599 or more. 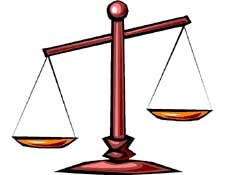 Interest will be charged to your account from the purchase date if the promotional balance is not paid in full within 12 months. Minimum monthly payments required. No interest if paid in full within 24 months on select items sold by Amazon.com. Items sold by third parties do not qualify. Interest will be charged to your account from the purchase date if the promotional balance is not paid in full within 24 months. Minimum monthly payments required and may pay off purchase before end of promo period. 12 Month Equal Pay Offer: 0% APR until paid in full. 12 equal monthly payments required. As with those home improvement offers, you have to watch out for the balloon interest payment at the end. If you don’t pay in full, you will get charged back-dated interest starting back from the purchase date and not the end of the promo period. This credit line charges a variable interest rate based on the Prime Rate. The current Variable purchase APR is 26.24%. Yikes. Commentary. So why don’t I mention the Amazon Store Card all the time? My rule of thumb is that a “hard” credit check can reliably net me at least $500 in value, usually from “try me! try me!” credit card incentives. It is very rare that I shop at any specific retailer enough to get $500 in savings. For example, it would take $10,000 of Amazon purchases at 5% back to net me $500 in cash back. At the same time, 5% rotating category credit cards often have Amazon or a place that sells Amazon gift cards as an eligible category. Other cards like the American Express Blue Cash Preferred offer 6% back at grocery stores (that sell Amazon gift cards) or Chase Ink Business cards offer 5% back at office supply stores (that sell Amazon gift cards). Basically, there are other ways that I can stock up on Amazon gift cards at 5% off without having this card. 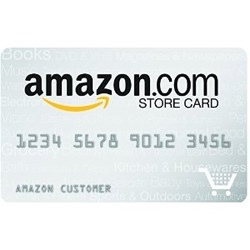 If you are a loyal Prime member that spends a lot of money at Amazon and prefer simplicity, then this card can make sense. The 5% off is automatic with your bill, and you get to easily track how much your Amazon habit is costing you. You’ll also want to be the type that either pays your bills in full or is great at navigating the fine print on financing opportunities. 26% APR interest is scary.